You take care of your teeth and understand that daily brushing and flossing help you maintain a beautiful, healthy smile. But the timing of your routine (in other words, when you brush your teeth) also plays a big role in oral health. 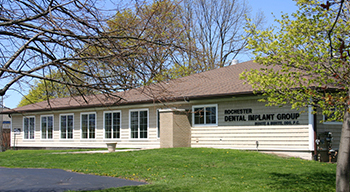 The restorative dentistry experts at Buhite & Buhite, DDS, in Rochester, NY, want their patients to know how important it is to establish a nighttime oral care routine. Bacteria & More Bacteria: On average, there are about 25,000 different types of bacteria in the human mouth. More than 1,000 of those species aid in the formation of plaque. When you don't brush your teeth before bed, these little critters start to feed off bits of food you have stuck in your teeth. It's a dental disaster waiting to happen. Nightly brushing and flossing help remove excess food and bacteria and prevent bacterial growth. Dry Mouth: While you sleep, your mouth produces less saliva, which contains enzymes that control bacteria. Dry mouth means bacteria have the space and six to eight hours to multiply. Nightly brushing and flossing will help you start each day with a clean dental slate. It's best to brush and floss right before you go to bed. 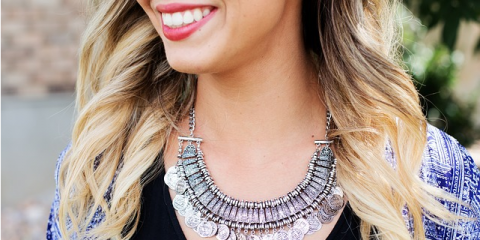 Use a soft-bristled brush and gently massage your gums and clean your teeth for at least two minutes. Remember to brush your tongue as well, as this part of the mouth is a major breeding ground for bacteria. Flossing is a necessary part of this process, as it helps to remove excess food that a toothbrush cannot. Establishing a nighttime oral care routine is especially important for patients who may need to remove and clean partial dentures, floss in between dental bridges, or keep their porcelain crowns clean. 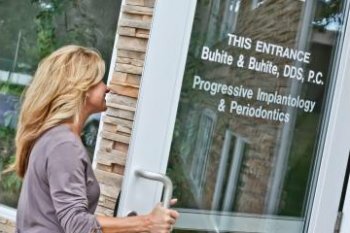 Buhite & Buhite, DDS, specializes in restorative dentistry and uses a wide range of dental prosthetic devices, like dental crowns, custom dentures, and dental bridges to restore your teeth to health. Whether you need help establishing a new nighttime oral care routine or need dental x-rays, a root canal, or more information about restorative dentistry, the staff at Buhite & Buhite, DDS, can help. Call (585) 342-1323 to make an appointment or visit their website for more information.